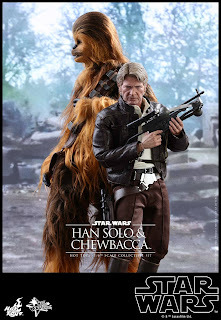 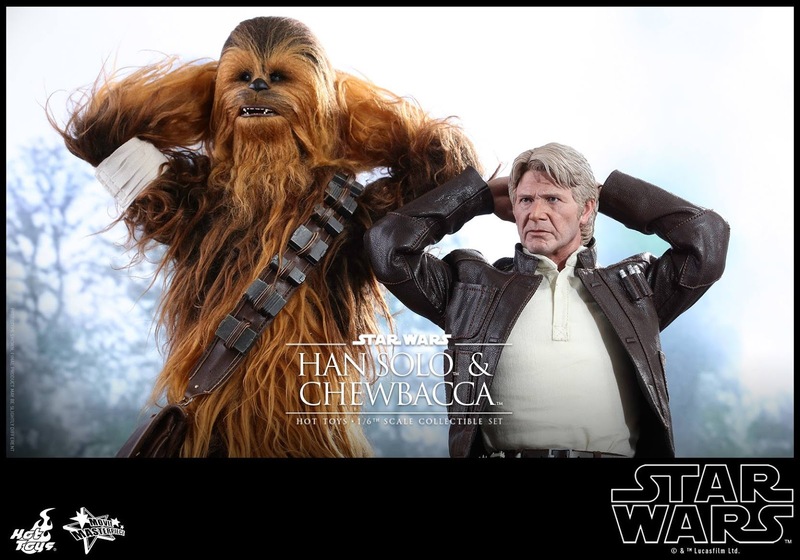 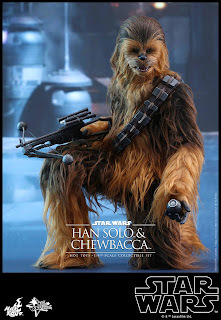 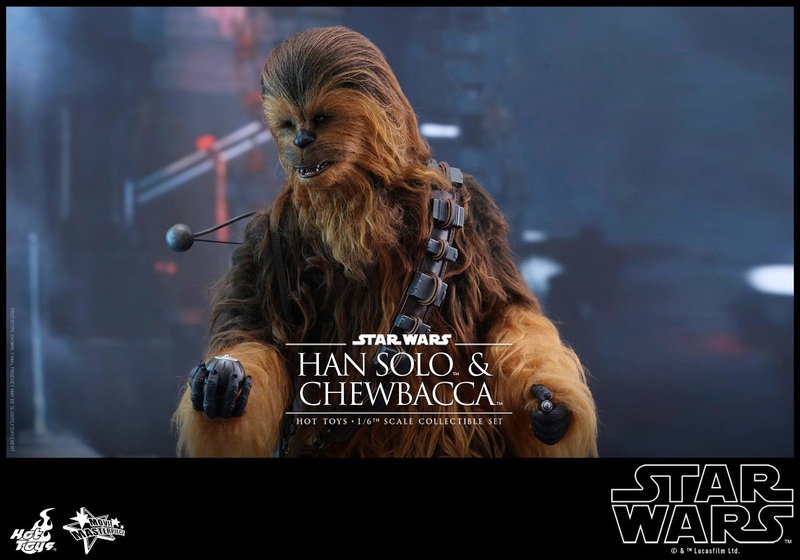 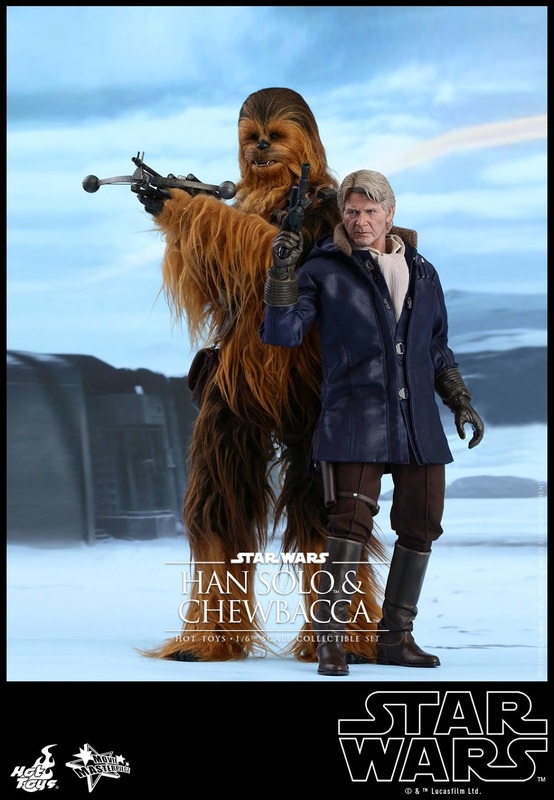 Hot Toys Star Wars: TFA - 1/6th scale Han Solo & Chewbacca Collectible Set. 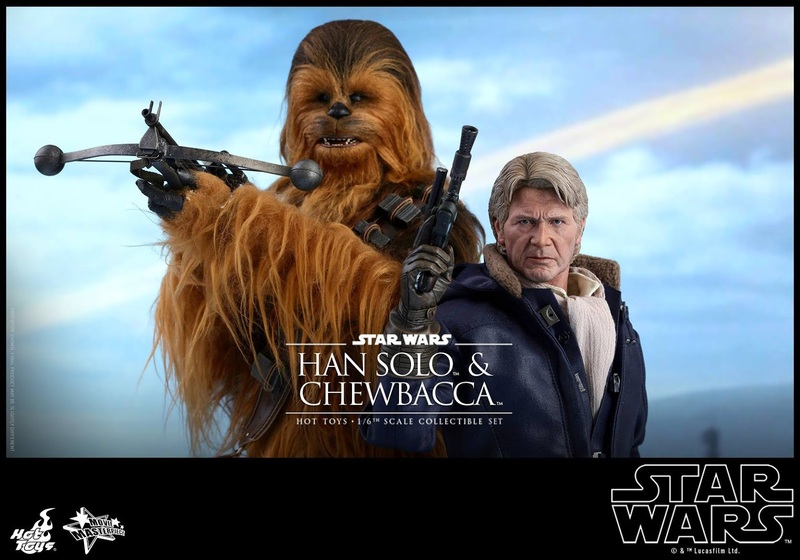 Hot Toys is rolling out with more TFA series, similar to their ANH they will be releasing Han Solo and Chewie as a set and also individually. 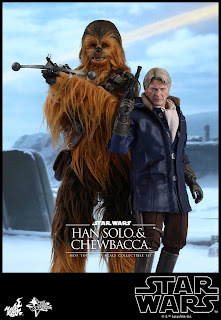 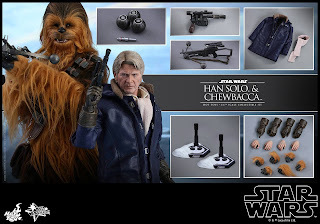 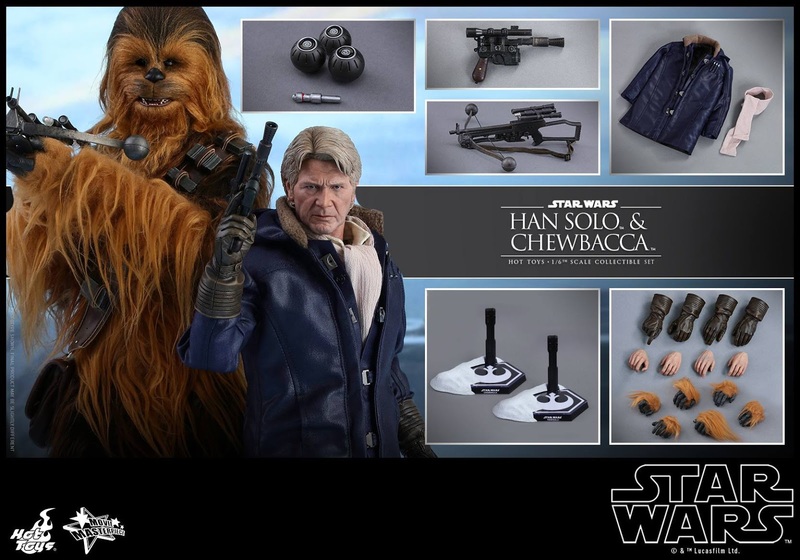 The double set will include all items from individual set plus additional accessories and snow-covered base for both Han and Chewie. Check out full details below from HT! If you prefer the classic version, check out our review post here. 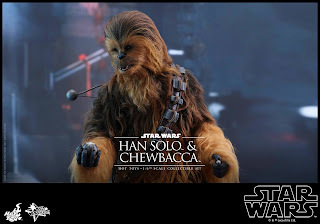 Preorder is still available through SideShow here.